newsinspirationWhat is the Emotional Value of Your Event? Whenever we're about to measure the ROI of our events, we always tend to rely on data such as how many tickets were sold or how many times the event hashtag was used on social media. However, we often forget to be aware of the emotional intensity our guests experienced during the event. But why emotions are so important for our events in the first place? As eventplanner.tv founder Kevin Van der Straeten indicates, if you're able to engage people's emotions at your event, "you will be better able to build up long-term, sustainable relations and they will be quicker to pick up and accept your message. The art of creating this kind of experience consists in the development of a total concept with a high WOW! factor." How are you communicating the event to you potential attendees? Are you appealing to their logic, or to their emotions, too? 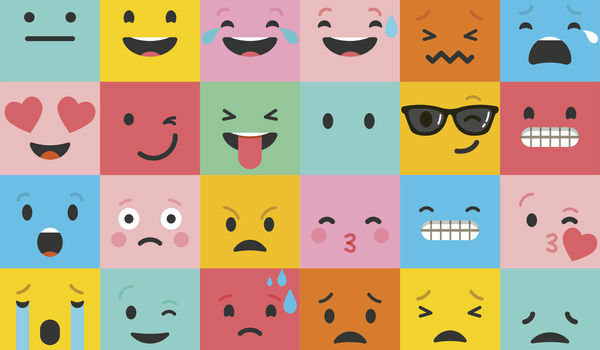 To connect emotionally with your potential guests, you must talk their language, or better said, the language of their most burning pains. For example, if you decide to run an event to inform people about nutrition, make sure to build the marketing campaign around a truly uncomfortable and persistent problem. In other words, don’t promote your event as a conference or workshop on how to eat healthy. Dig deeper and search for the real reasons why your target group may be interested in attending the event. Is it because they want to be fit, or is it because they want to feel better, or maybe they need to start following a specific diet for medical reasons? Determine which target group is most suitable for your event and then craft the event narrative, tackling their real issues, as for example: being overweight and having bad skin. By presenting your event as an opportunity to achieve their most burning goals, you’ll establish an emotional connection between your event and your potential attendees. Do you want your attendees to have fun and feel relaxed? Or do you want them to be serious and focused? Depending on your intentions and the feelings you want to generate, you can easily design the most suitable environment. For example, if you want your attendees to engage and collaborate more, avoid placing them in a theatre-format venue. They must be able to see each other’s faces and have a direct contact. To achieve that, you can have multiple tables in the room and organize the audience in smaller groups. By doing so, and by enabling the dialog between your guests (via group tasks, for example), you’ll achieve a teamwork mindset and a more easygoing environment. The best way to emotionally engage with your attendees is to connect at the level of their problems and challenges, providing them with highly insightful solutions. Whenever you help someone solve a lasting and burning pain, you actually manifest your commitment with adding value to their life. By doing so, you’ll increase the level of trustworthiness your attendees have regarding your event and the content you have to offer. You can’t expect to generate a strong emotional response from your attendees without providing them the means to change something about themselves. Whether it’s a thought, an attitude, or a behavior, events with a high emotional impact will lead guests to a positive transformation. Event co-creation is a key aspect when it comes to emotionally connecting with your audience. Obviously, you can’t let your attendees decide everything about the way your event will unfold. This could generate lots of chaos and headaches. However, you could periodically present attendees with two options via a life poll (through a moderator). This will make them feel more conscious about their experience and develop a heightened sense of awareness. If you want to strengthen the relationship with your attendees, build their loyalty, and make them talk about your event, you must build an emotional connection with them. You can do it by crafting a marketing campaign that addresses their most burning pains. Don’t forget to also provide the solutions to the challenges they are facing. Also, ensure enough space for event co-creation and self-actualization!